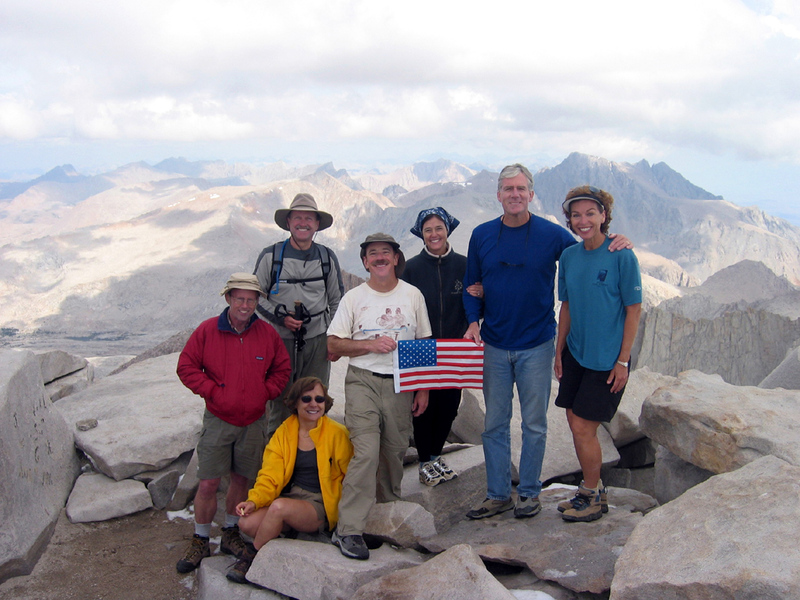 On August 20-22, 2004, Jon Ball, Patty Kert Dailey, Bill Edwards, Jay Helms, Kelly Traver, John Selling, and Ann Waters converged in Lone Pine, California for a three-day trip up Mt. 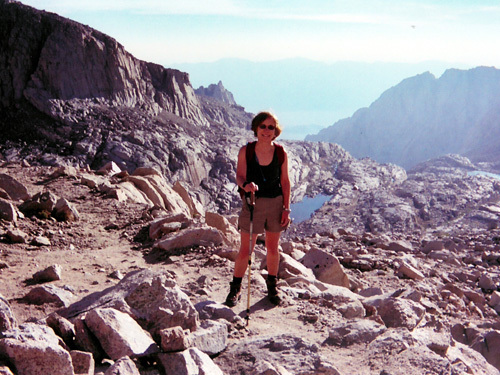 Whitney -- the highest peak in the contiguous United States. A sign at the trailhead illustrates the 11 mile, 6136 vertical foot climb to the top. 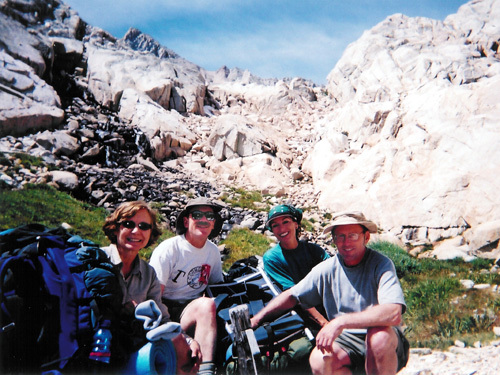 Ann Waters, Patty Kert Dailey and Kelly Traver begin the hike. 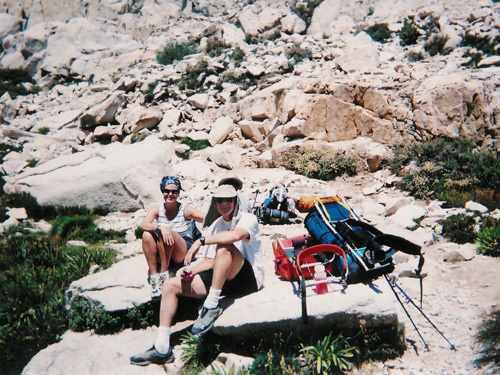 Trailside Meadow, at 11400', offers a welcome respite on the long first day's climb. But its beauty is siren-like: clouds are coming in and we must set up our tents at Trail Camp before the storm begins. 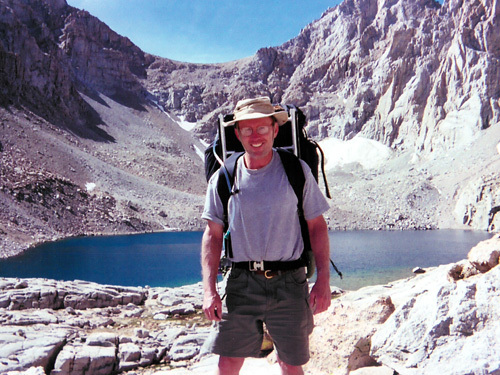 We arrive at Trail Camp (12000') just as it begins to snow. 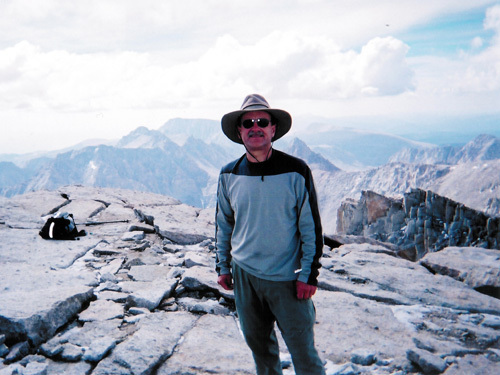 On August 21, after spending the night at Trail Camp, we go for the summit: ninety-seven switchbacks take you 1700' up to Trail Crest; then a long traverse along the ridge's western side takes you to the summit. 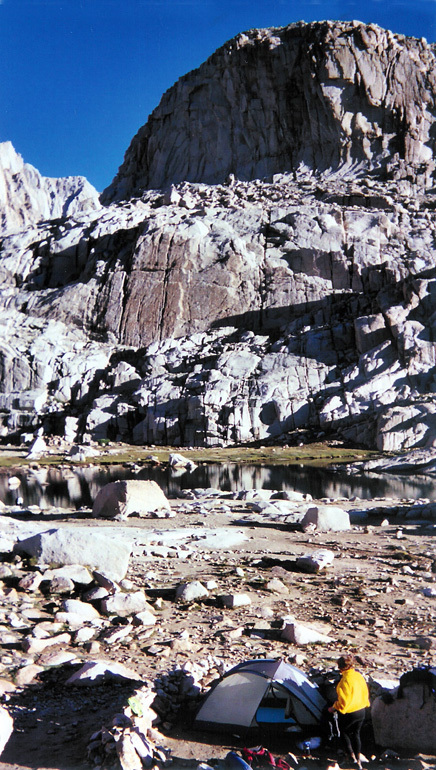 The first view to the west from Trail Crest (Hitchcock Lakes). Jon Ball signs the summit register. 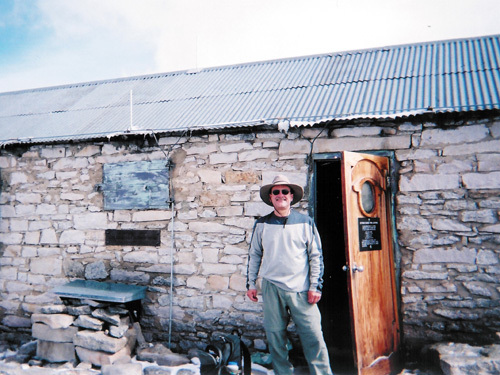 Bill Edwards at the Whitney summit shelter. Jon Ball, Bill Edwards, Ann Waters, Jay Hems, Kelly Traver, John Selling and Patty Kert Dailey at the Mt. 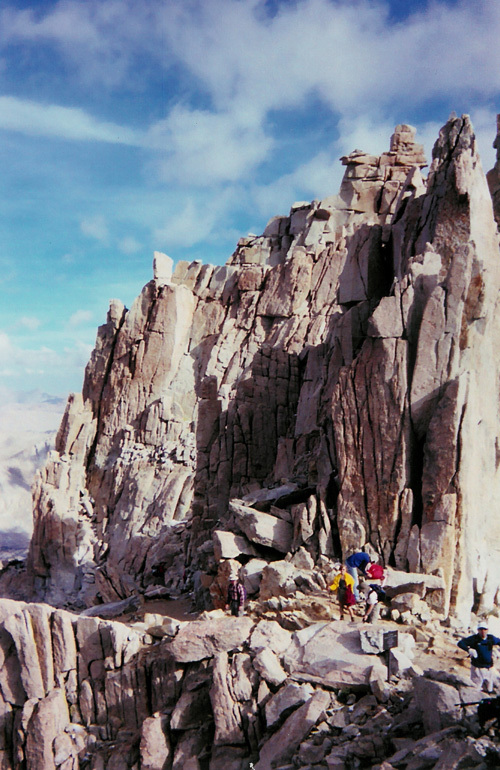 Whitney summit. After an all-too-brief stay at the top, we must descend before the gathering thunderstorm begins. The summit from the switchbacks as we descend. The Whitney shelter is barely visible near the top of Whitney's gentle western slope. as we return to Lone Pine on August 22. New York Times article from September 3, 2004.